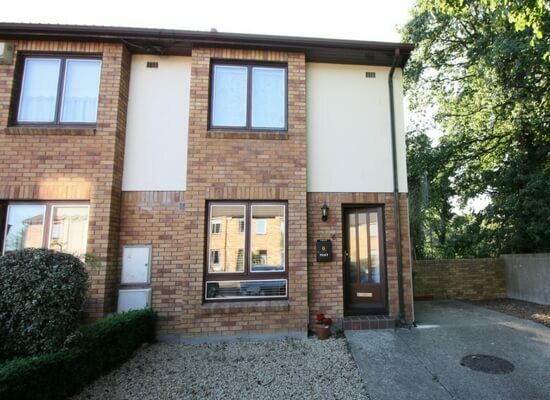 The home is an end of terrace townhouse with 2 bedrooms. 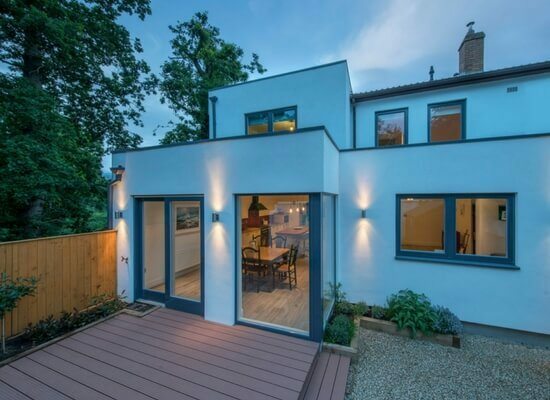 The brief was to extend to the side and rear in order to form a new utility room, a study/den and a large open-plan living area on the GF and a large master ensuite at first floor. A contemporary style was the preferred choice of the clients. Features: Increased hallway, storage and utility room, large open plan living, study/den, large master ensuite with changing room. The project was not without its challenges because of boundary and substructure issues (two of the bigger items that can crop up). The removal of the existing sandstone patio and initial groundworks unearthed large drains that had not been mapped on any drainage drawings. This led to additional works being required (see the depth of the trenches) but all of it was sorted by our substructure team. 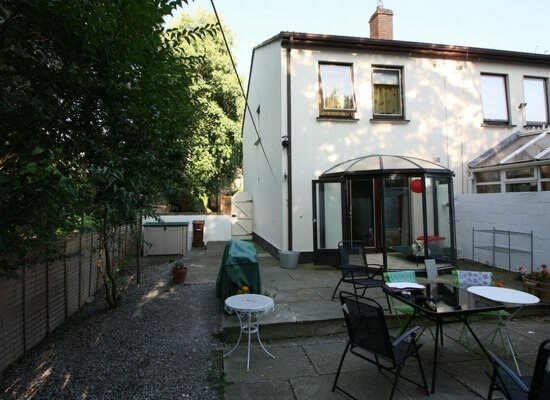 The existing kitchen/dining was small and faced the street. 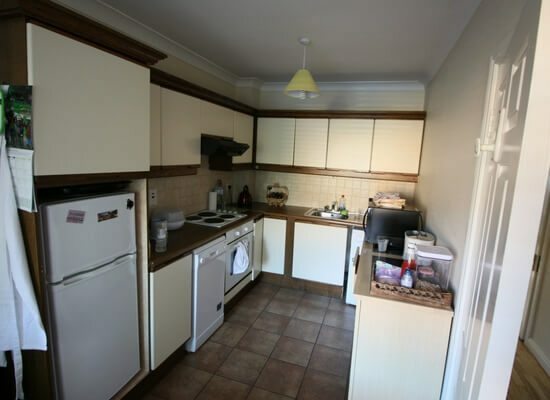 This room was reduced in size to increase the hall and has since become a utility room with additional storage. 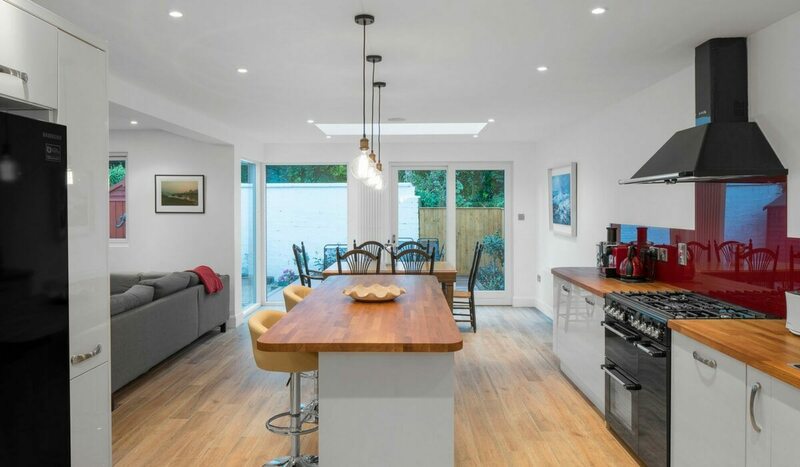 The existing living room was absorbed into a much larger open plan kitchen living area as the extension wraps around the side and rear of the house. A new study/den with ample light occupies the front of the house in the newly-extended area. At FF a new master ensuite has been formed with a bedroom, bathroom and changing room. High-level windows were incorporated into these rooms to avail of the great views of the neighbouring golf course. 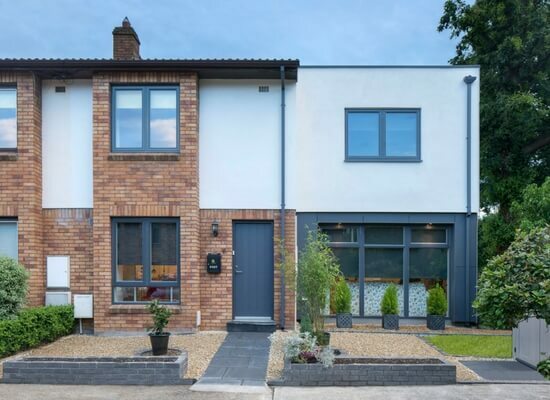 Having had an architect view our home previously, we were impressed with how Shomera listened to us and took on board what we were hoping to achieve. We availed of their Design Service and after a number of options were discussed we agreed a design to go for planning. 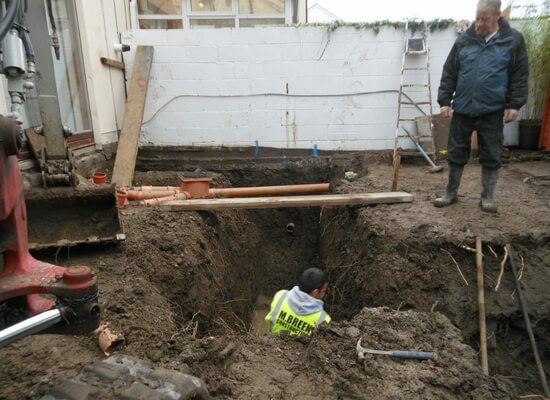 The whole process was a bit of a roller-coaster with planning, neighbour and unknown drainage issues rearing their heads. However, Shomera worked diligently on our behalf and the end result has been worth waiting for. 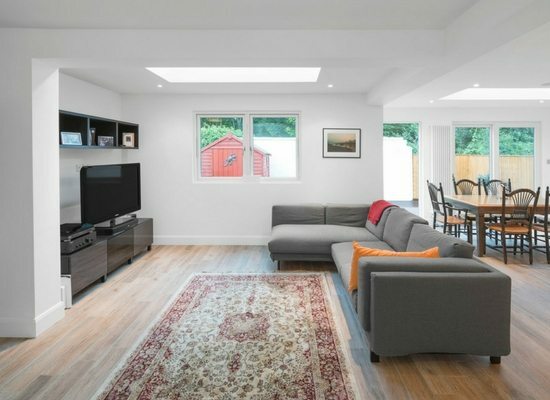 Our modest townhouse has been transformed into a large family home with a great open plan living area, utility room and playroom. The Shomera approach was unlike anything I have experienced in the construction industry. Their efficiency, observation of schedule and the way they addressed very extreme drainage issues was exemplary. The only time we had a rough experience was when we deviated from Shomera’s system. There are a number of delights, especially window insertions at high levels that give us some great views. I would recommend Shomera to anyone thinking of taking on the job of transforming their home.